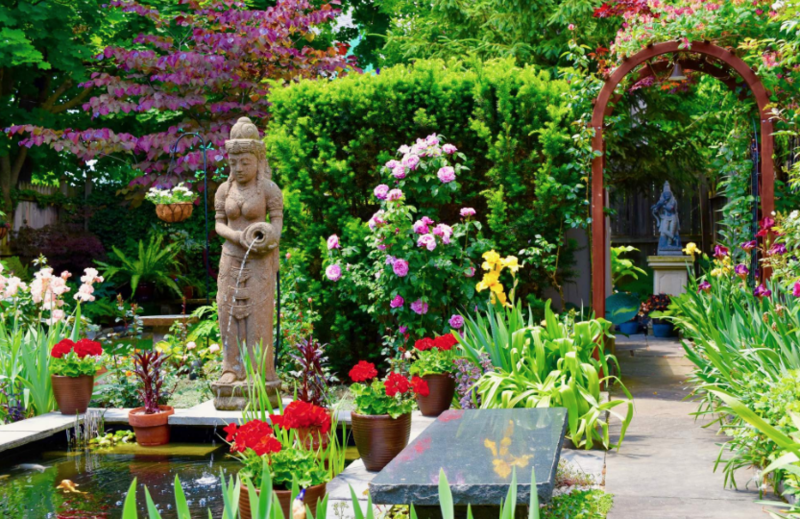 A beautiful garden doesn’t have to cost the earth, writes Frances Saunders. AN EMPHASIS on low-maintenance outdoor areas with expensive hard landscape such as paving and decking has dramatically changed garden design Melbourne in recent years. Brought up on a diet of glamorous, instant-makeover television shows and landscape magazines – which often have huge budgets to showcase the most aspirational ideas – many people now consider good garden design a luxury. They expect to pay from $8000 to $35,000 for a decent transformation. Throw in the outdoor entertainment area, a spa or a pool, and the costs become astronomical. But that’s not a realistic benchmark for the typical Australian family, says Michael Gainger, chief executive officer of the Nursery and Garden Industry Association of Victoria. 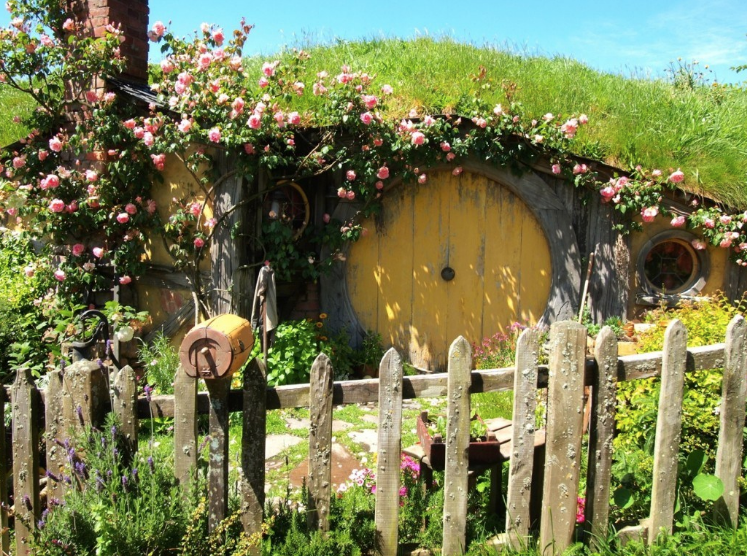 Concerned that there are not enough budget-conscious and easily achievable outdoor design ideas for the average homeowner, Mr Gainger campaigned for an avenue of achievable gardens at this year’s flower and garden show, which is being held this week. The association approached TAFE colleges for students to submit innovative designs for gardens, each on a $2000 capped budget, 14 of which will be displayed at the avenue. The students kept to key strategies to hold costs down, says Mike Callaway, a teacher at Swinburne TAFE. These are ground rules for any low-budget garden. The single most expensive component in a design is the cost of hard landscape, so “limiting hard landscape work and materials is the first (rule)”, Mr Callaway says. Paving, concreting and decks are expensive when compared to mulch or gravel. Expensive hard materials can still be used, but more judiciously. Paving blocks used as stepping stones can be decorative and functional when used as a walkway on gravel paths or lawn. But because they are a feature, and only a few may be required, the cost is relatively low when compared with the benefit. But it’s more than just finding the right plants for the right spot. A planting plan – even if it’s a sketch – will give an idea of what the garden will look like when it’s fairly established. The plan or sketch can also control the temptation to overplant, as most gardens tend to look bare in the initial planting. Mr Callaway suggests drawing the plants on the plan with the spread they will have when they have grown to maturity. Then use it as a guide and stick to the number of plants sketched. The initial size of the plants will also affect a garden’s cost. At the top end, advanced plants can be many hundreds of dollars; however, a plant in a tube costs about $2. Research repeatedly shows that a plant in a tube establishes and grows quicker than a larger plant. This is because the larger plant takes more time to recover and establish in its environment. Labour costs are a large component of a garden budget, so keep the design simple so you can do it yourself. Frances Saunders is a horticulturist and landscape designer. The Melbourne International Flower and Garden Show is on at the Royal Exhibition Building and Carlton Gardens from Wednesday until Sunday. ON A budget of $2000, you can transform your garden in a few weekends. Our design plan is based on a rear courtyard garden seven metres square. Path of Tuscan toppings: about 500mm wide, and slightly meandering through the space with a widened area for water feature or sculpture. One cubic metre is usually about $74, hire of compactor $50, total $124. Mulch is light and easy to barrow and shovel around, it improves the soil, protects the soil surface, and provides nutrients to plants. A good-quality mulch (such as chipped organic and timber waste) is $39.50 per cubic metre. Apply at a depth of about 75mm. To work out how much you need, measure the length and width of the space to be covered in metres and multiply by .075. This will give you the cubic metres you need to order. Example: Mulch required for an area seven metres square is 3.67 cubic metres. Therefore order four cubic metres at $158, plus $20 delivery, total $178. Contrasting charcoal paving stones set into the Tuscan toppings walkway. Large and dramatic 500 x 500mm pavers by Cast in Stone cost $14.85 each.Ten pavers at $14.85, total $148.50. Two advanced specimens for about $200: a standard weeping grevillea, a small tree, or maybe a standard cumquat (above), total $420 (including delivery). A piece of sculpture or a water feature up to $600 – put this in an eye-catching position, with garden seating, up to $200. OR a simple birdbath for $100 and an outdoor setting for $700. That leaves about $330 to spend on plants. Plants in tubes from your local indigenous nursery cost about $2 for such gems as ornamental native grasses, dainty tetrathecas and small shrubs. That means there will be plenty of money for a couple of grafted eromophilas at $25 each and a few other favourite plants in larger sizes. NOTE: To save on labour costs, the TAFEs offer short courses in paving and bricklaying for about $200, if you are keen to give it a go. Without labour costs, a small area of paving becomes more achievable: second-hand bricks cost about 67 cents each and seconds pavers about 55 cents each. Would you like to use your backyard all year round? EASTER IS OVER AND autumn is here! LOVE Gardening! But it is hard to maintain it. Why? This slithery buddy is often mistaken for a snake at first glance, and it’s an easy mistake to make. The lack of limbs and scaly body might make you jump at first. However, this lizard is actually more closely related to geckoes than snakes. It’s important to know how to spot the distinctive marks of this lizard, because it’s a completely harmless and exciting buddy to have around your garden. There are key differences between snakes and this deceptive looking lizard. A good one to look for is the shape of its head. 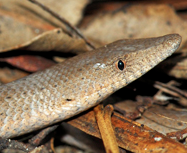 A Burton’s Legless Lizard has a wedge-shaped snout that sets it apart from both snakes and other lizards.